Pavement systems for this discussion are defined as conventional highways and local municipal roadways, controlled access and surface roads, ingress/egress pavements at commercial and industrial facilities, truck terminals, and parking lots or storage lots for ocean-going containers or other bulk handling facilities. 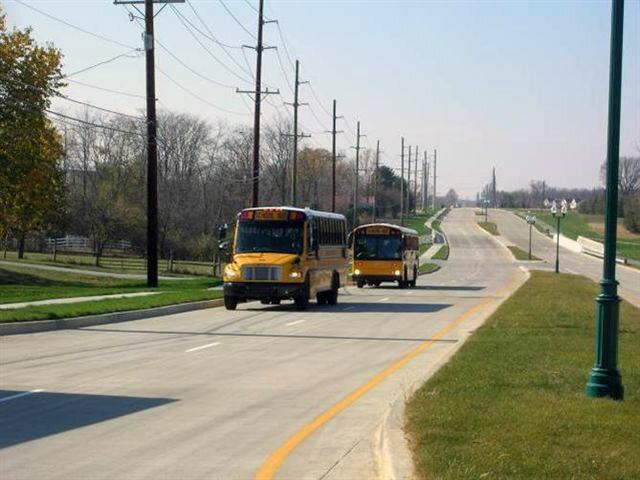 Service life, durability, and life-cycle costs are considered the principle criteria for evaluating the performance of a pavement system. Service life and life-cycle costs seem to have similar definitions in that life cycle is the period from initial installation through a period of time which includes a major rehabilitation, whereas service life relates to the length of time the pavement system can perform at a minimum pavement condition (smoothness, percent of slabs cracked, etc. ), including after being replaced or repaired. Fiber reinforced concrete in pavement systems has proven to be an advantage over conventional non-fiber-reinforced concrete. Engineering data shows that by introducing 3-dimensional fiber reinforcement, the microsynthetic fiber (nylon or polypropylene), macrosynthetic fiber (polyolefin), or a blend of both can increase the durability and service life of the concrete pavement system, thereby reducing life-cycle costs. When we look at the service life or durability of a pavement system, the focus is on the ability of the pavement to withstand multiple dynamic axle load events. Historically, we have used the term ESALs (Equivalent Single Axle Load), in the American Association of State Highway Transportation Officials (AASHTO) empirical design procedure to characterize the traffic loading by converting all vehicles into an equivalent number of 18,000-pound over-the-road truck axle loads. The new AASHTO mechanistic-empirical design procedure doesn’t use ESALs, but rather, the axle load distributions directly based on a pavement’s traffic category or weigh-in-motion studies. Here, we are looking at the ability of the concrete pavement to resist multiple/repetitive dynamic loading of these axles, which causes fatigue within the concrete member being loaded. To attempt to quantify the contribution of a 3-dimensional synthetic fiber reinforcement system as a fatigue strength reinforcement, a research program was conducted by V. Ramakrishnan, Ph.D., at South Dakota School of Mines and Technology, and R.C. Zellers, P.E. The research compared the number of repetitive load cycles required to induce the failure of test beams composed of the 3-dimensional synthetic fiber reinforcing system versus plain concrete. The repetitive load was determined by taking a percentage of the modulus of rupture of the parent concrete. The results revealed that the synthetic fiber dramatically increased the fatigue strength of the concrete. Specifically, the number of repetitive loads required to fail (i.e. first crack) the fiber-reinforced concrete beams was considerably higher than for the plain non-fiber-reinforced concrete beams. Furthermore, the synthetic fiber-reinforced concrete performed exceptionally well at higher loads than the plain non-fiber-reinforced concrete and, by increasing the fiber dosage level, there was a companion increase in the fatigue strength properties. These findings have been re-proven with the placement of countless ultra-thin whitetopping demo pavements under the auspices of FHWA and numerous states’ DOTs, including Tennessee, Florida, Iowa, Oklahoma, and Ohio. Another area of interest when we talk about concrete pavements is drying shrinkage, warping, and curling. Typically, warping, and curling occurs when the upper face of the slab is either drier than the bottom face and/or there is a temperature differential between the two faces (see figure below). The permanent deformation of the slabs occurs when there is moisture differential between the two slab faces. The bottom of the slab remains exposed to a constant source of moisture while the drier top slab is exposed to either direct sunlight which evaporates the moisture, and/or low humidity, and/or measurable winds which causes it to shrink, imparting internal restraint, which in turn causes cracking. Curled or warped pavement slabs — sometimes referenced as wash boarding — cause poor driving conditions but, more importantly, will have a direct bearing on the service life of the pavement. Deterioration at the joints and edges of the pavement results from the impact of heavily-loaded truck wheels at elevated speeds. Cracks will produce loose shards that will either disintegrate or dislodge, creating a rough, unsafe ride quality. Curling also can result in drying shrinkage cracking which can create unplanned joints in the pavement which do not have the proper load transfer devices (e.g. dowels) to support the heavy wheel loads. The 3-dimensional distributed synthetic fiber in the concrete pavement system will reduce the magnitude of warping and curling by increasing the concrete’s tensile strain capacity (which is its ability to “stretch” without cracking via multiple mechanisms, one of which is invisible microcracking) at early ages when most of the curling occurs. Furthermore, wherever visible macro cracks may form in the slab, the synthetic fiber will hold the concrete together reducing the potential of pavement break-up, and ultimately, an early failure of the pavement. These quantifiable benefits demonstrate the value of the synthetic fiber-reinforced concrete pavement in the life-cycle cost equation. Additionally, we know from considerable research conducted over the last 15 to 20 years that the synthetic fiber modifies both the plastic shrinkage and the drying shrinkage properties of the concrete. This modification of the micro and macro cracking mechanism in the early age of the concrete pavement yields several benefits, including reduced permeability. The reduction in permeability produces a reduction in chemical penetration during the life of the concrete, while also modifying the freeze/thaw properties of the concrete. This is extremely beneficial in bridge decks and other pavements with rebar where de-icing salts are used. Studies have also shown that incorporating synthetic fiber in the concrete increases the bond strength and effectiveness of epoxy-coated rebar which is often specified in extreme environments. By reducing permeability and modifying the micro/macro cracking mechanism, the synthetic fiber enhances the soundness of the concrete, thus increasing the service life. There is quantifiable evidence that demonstrates synthetic fiber in concrete pavements— both micro and macro — will extend the service life of these pavements. This means we can replace the conventional secondary/temperature-shrinkage reinforcement with synthetic fiber and perform the same function of the secondary reinforcement even more effectively. These service life/long-term benefits derived exclusively from synthetic fiber — resulting from the 3-dimensional distribution — are added to the life-cycle cost equations. The results, when all the number crunching is completed, show that synthetic fiber-reinforced concrete pavement systems not only provide superior crack prevention and crack-width control to the concrete cross section compared to conventional secondary reinforcement, but —as an added benefit — using synthetic fiber can actually decrease the in-place, initial costs. For more information on the subject matter, please contact Rob Yates at rob@abcfibers.com.